Affordable tap dancing trophy made in durable resin with an antique gold and bronze colour finish. 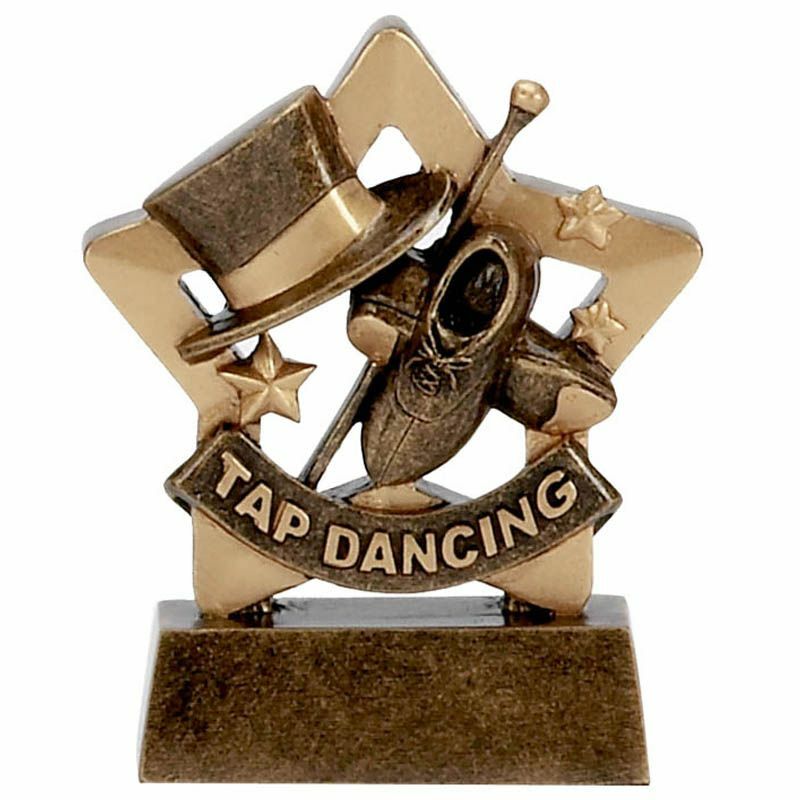 These tap dancing awards stand 3.25in tall and are suitable for both male and female awards. They feature a five-point star with a pair of dancing shoes, stick and top hat along with a banner with the legend 'tap dancing'. Engraving is supplied via a metal plate attached to the base.